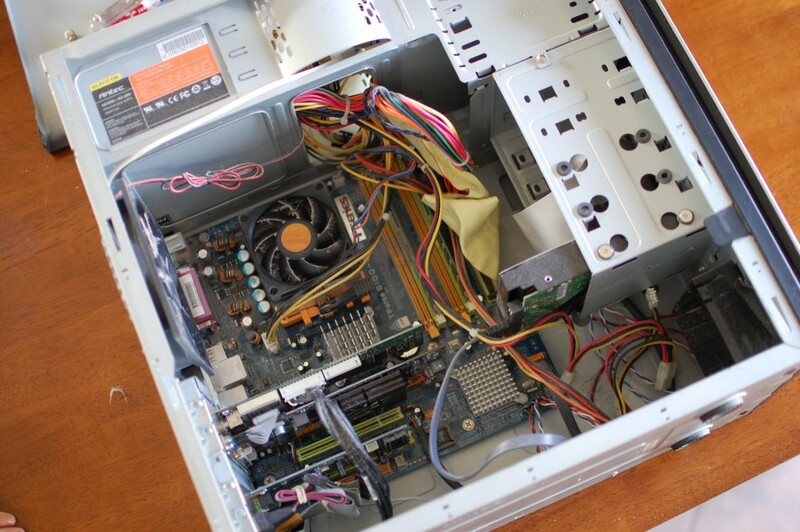 Several years ago I threw together a cheap HTPC based on an AMD Athlon 939-socket chip. It worked fine over the years playing back standard-definition movies and streaming Netflix without issues. Recently however I noticed lots of skipping and stuttering while my kids were watching an episode of The Avengers. The movie was attempting to play in HD, but the old HTPC just couldn’t cut it. I took a look at the CPU usage and it was pegged at 100%. I disabled HD and the movie proceeded to play without issues, but the CPU usage only dropped to about 80%. I decided it was time to upgrade this old machine, if for no other reason than to get HD playback on Netflix. After all, what good is an HTPC that can’t play back anything in HD? My goal for this build was most bang-for-the-buck. I wanted to build the least expensive HTPC I could that would fit the bill of internet media streaming device without being required to do much else. 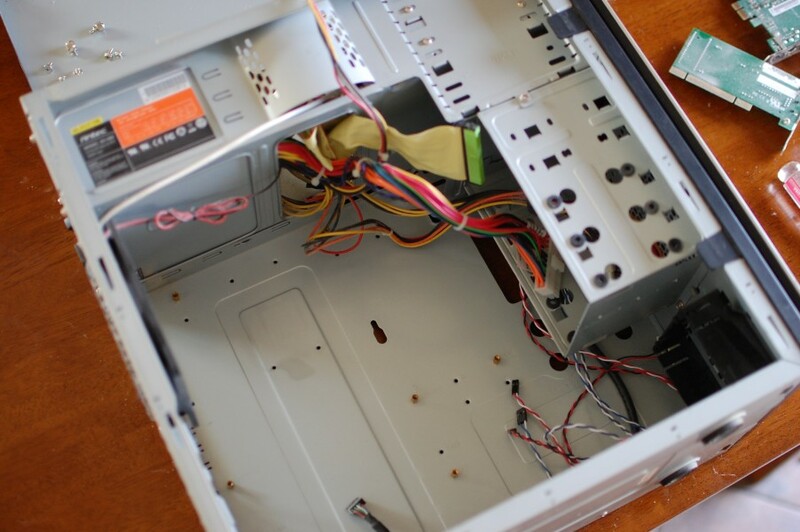 The plan would be to keep all existing components such as the case, HDD, TV tuner, PSU, DVD drive, Windows 7 and only upgrade the CPU, motherboard, graphics and memory. This isn’t the first time I’ve done this kind of upgrade, and I find it works out well for anyone on a budget. And I’m usually on a budget. 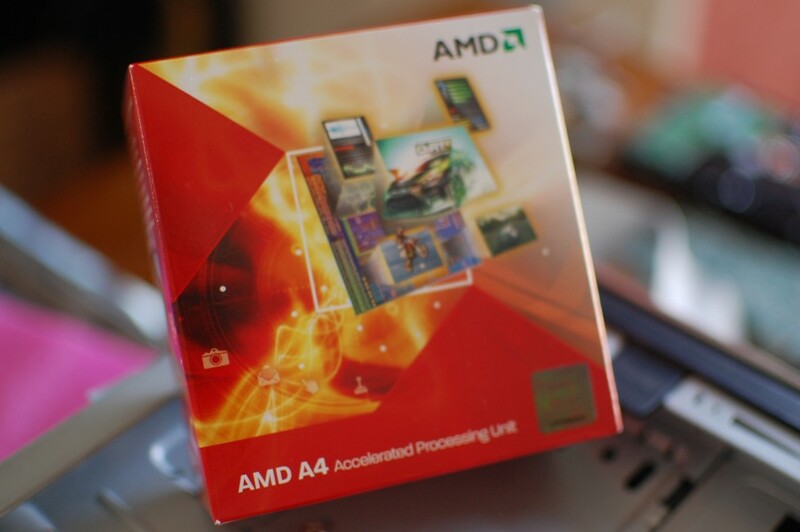 So my HTPC upgrade starts off with one of AMDs brand new Llano-based APUs – the A4-3400. This little chip packs a 2.7 GHz dual core processor paired with a Radeon 6410 graphics processor. 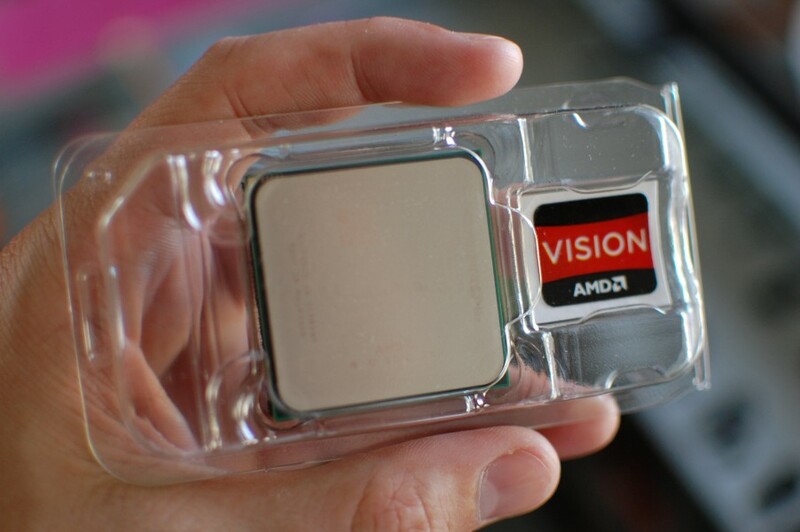 While this chip comes just at the heals of Ivy Bridge, it probably competes better with Intels’ lower end Pentium-based Sandy Bridge processors. 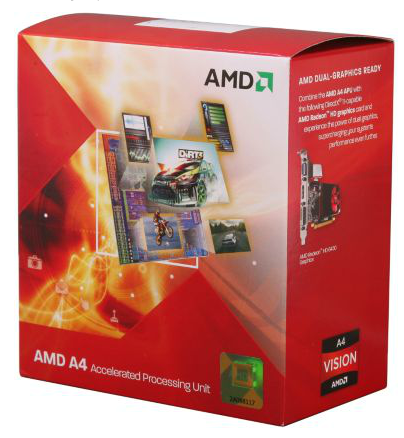 I waffled back and forth between spending the same money on other either of these two chips and ultimately decided to go with the AMD A4 because of the lower bundled cost, better graphics core and ultimately better WEI scores (according to reviews on Newegg). At the time I made my purchase, Newegg was offering combo deals for APU/motherboards for as little as $99. 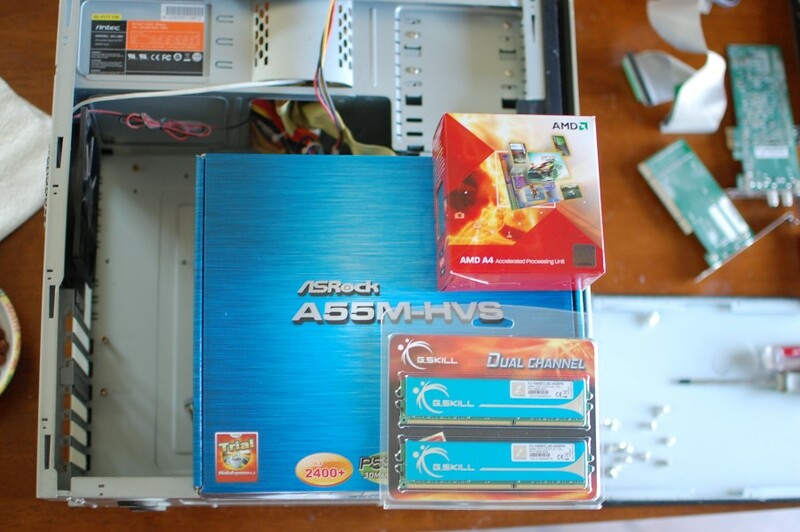 So I jumped on that very deal and got $20 off an A4-3400 and and ASRock A55M-HVS motherboard. 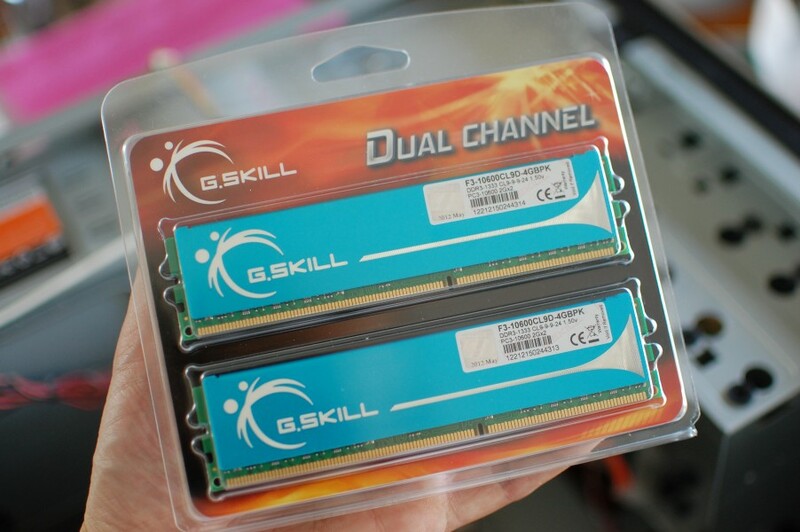 I threw in a 2×2 GB set of G.Skill ram for $25 and got free shipping on the whole deal. So for a mere $124 I upgraded my old machine to something the ultimately ended up being worlds faster than what I had before. The build went without too many issues. 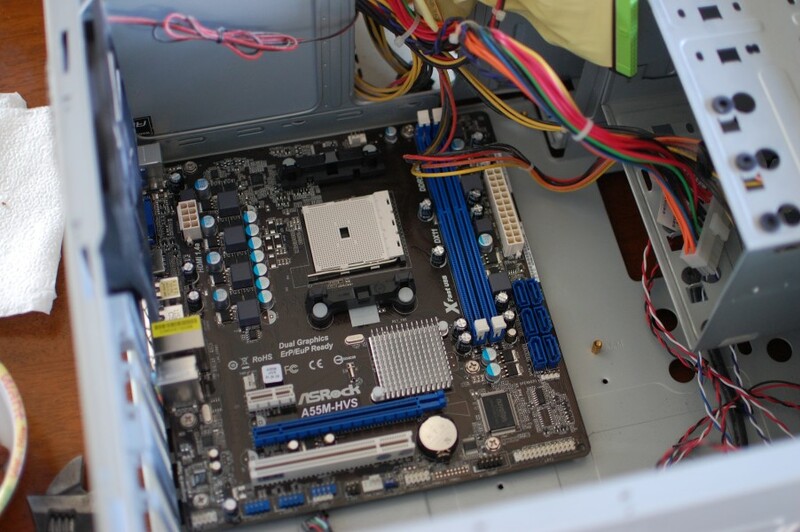 The only thing I had failed to account for was the lack of a parallel IDE port on the ASRock motherboard – 6 SATA II ports and not a single parallel port. Whoops. I dug threw all the PCs I had in the house and only my Samsung Blu-ray drive had a SATA II port. 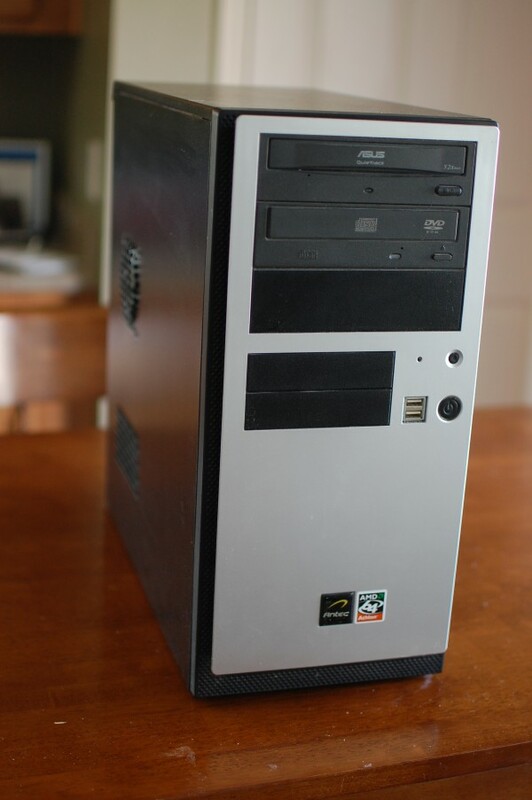 I borrowed it temporarily and then later bought a new Lite-On DVD drive for 17.99 from Newegg with free shipping. I pulled out the old motherboard and dropped in the new shiny blue ASRock unit. 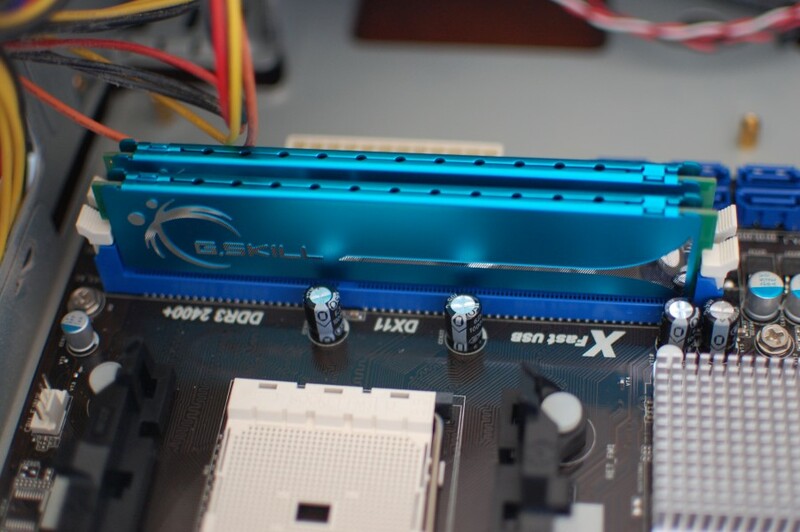 I popped in the cool blue G.Skill memory sticks and the proceeded onto the A4 chip. I can’t believe how tiny the cooler is that comes with this thing. 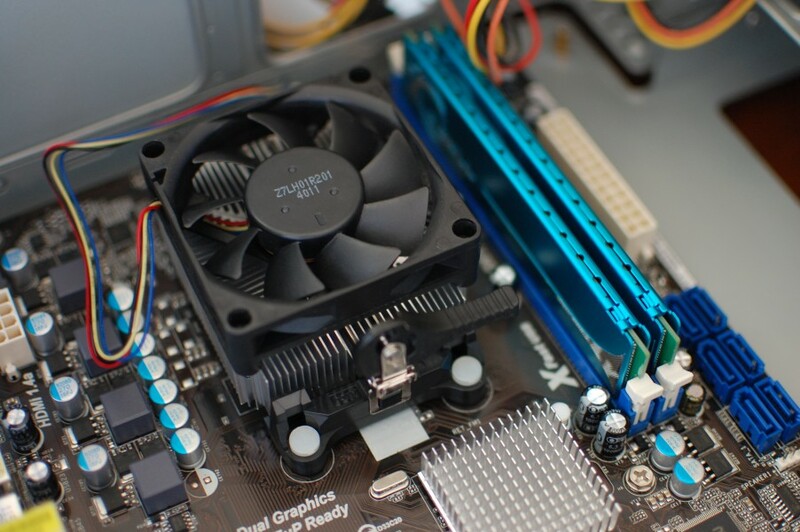 The heatsink must be no taller than 1″, including the fan. 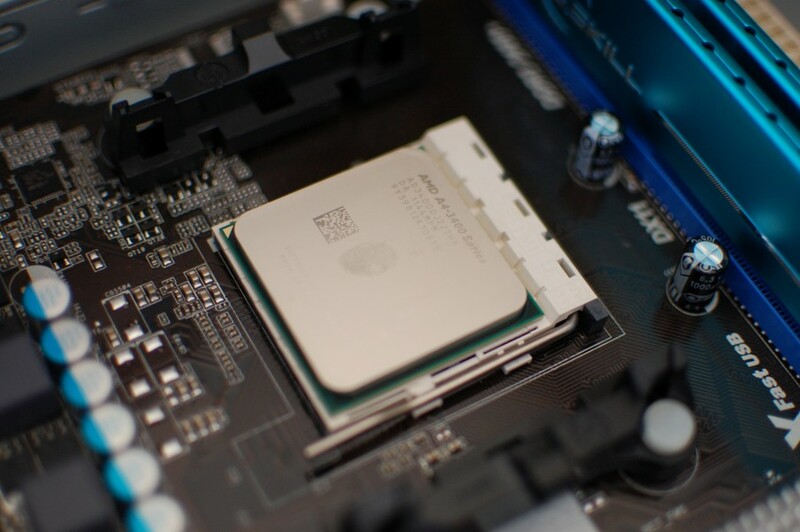 Fortunately this sweet ASRock mobo with its UEFI bios makes setting up the fan speed a breeze. I’ve got it set to spin as slow as it can safely go. I can’t hear it from beyond about 3 feet away. Last thing to do is reinstall Windows 7 and I should be good to go – or at least that’s what I thought. I pulled out my Windows 7 install disc and turned on the PC. I was about to pop it into the DVD drive when suddenly the words “Starting Windows” appears on my monitor. I thought what the…? 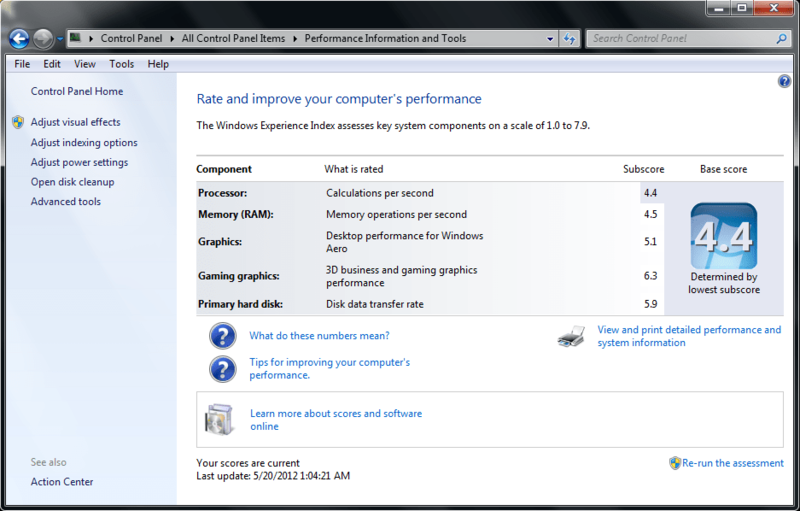 This thing is going to boot into Windows with a brand new CPU/motherboard/graphics and not crash? 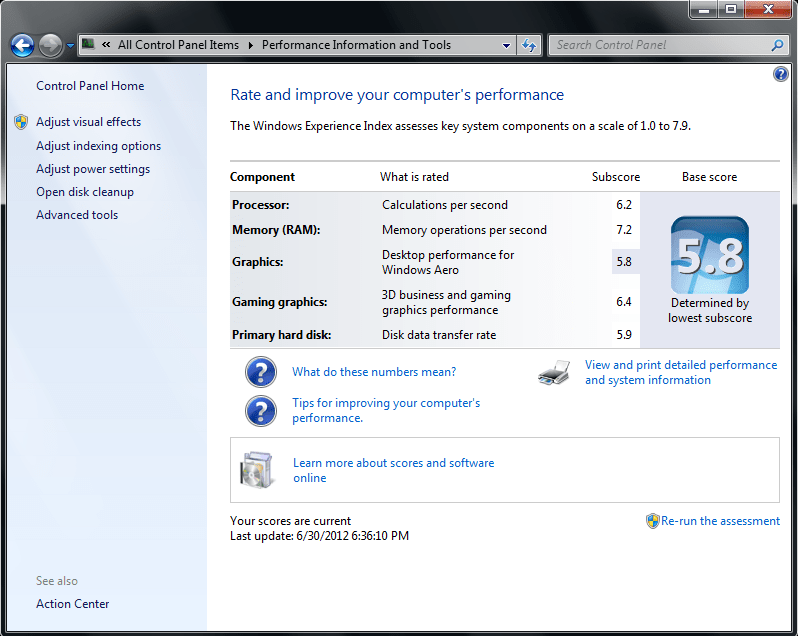 Sure enough Windows 7 loads up tells me it Found New Hardware (yeah, ya think?) and proceeds to install everything one by one. Well without the LAN driver, it wasn’t going to get far, so I dropped in the Driver disc provided by ASRock and installed the chipset, video, and LAN drivers. Once I got online, I downloaded the latest of the remaining drivers and the new HTPC was good to go. There were no other hangups. I couldn’t believe it. That just saved my like 2 days of updates and software re-installs. I did have to reactivate Windows though, but a quick call to the automated activation hotline and I was all set. Easy peasy. Never had an upgrade go so smoothly. Now that its been a few weeks since the build I am happy to report that this new hardware is working flawlessly. My overall WEI went from 4.4 to 5.8. 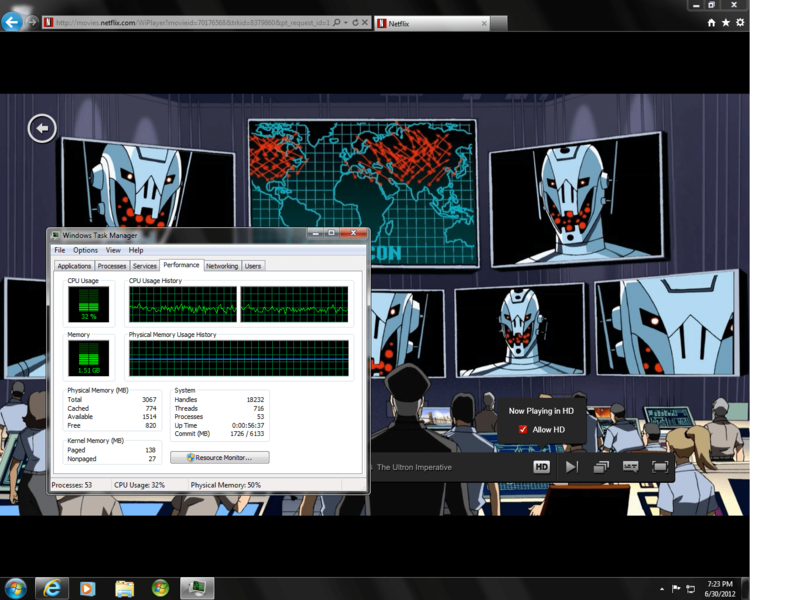 It plays Netflix HD movies without a fuss and CPU usage remains at only about 30-40%. It also plays back HD TV shows with no problems. Of course it plays back my DVD collection also without issues. Windows Media Center is much quicker, much more responsive. It also streams recorded HD TV shows to my other HTPC without stuttering, something my old machine couldn’t do. I don’t have a Blu-ray drive in this machine, but I have no doubt it would work just fine (or at least as good as any PC-based Blu-ray player works). I should also note that this computer stays on ALL the time. I haven’t turned it off in at least 3 weeks, yet every time I turn on the TV and receiver and select HTPC, it’s all ready to go. It’s quiet, efficient and makes for a perfect media experience without costing an arm and a leg. Hats off to AMD for making such a great product. Oh I should also mention that the UEFI interface on the ASRock motherboard is awesome. I don’t think I can go back to a simple text-based interface ever again. It makes the overall user experience just that much better. I haven’t actually tweaked anything, other than the fan settings and the default memory speed was wrong, but I didn’t intend on overclocking this little machine anyhow. Overall the ASRock motherboard compliments this build perfectly. With that, here’s some pics of the hardware as well as my WEI scores for before and after the build. Next up will be a review of my new sweet new Nexus 7 Tablet. Spoiler alert…it’s awesome. UPDATE: So the biggest issue I’ve encountered is the audio/sound over HDMI loses link to my Pioneer receiver every time the receiver is turned off/on and the input is selected to something else. Cycling the inputs doesn’t work, power cycling the receiver works half the time, power cycling the PC fixes it every time, both are not ideal solutions. Especially when my kids come in at 6 AM Saturday morning and say “Dad, there’s no sound on the computer” and then I have to get out of bed and fix it in a half-asleep daze. Curse you AMD! We’ll see if I can find a solution to the problem and I’ll post any updates. Apparently it’s a common issue with AMD drivers. The latest drivers seemed to have fixed this issue. It will still lose audio from time to time when changing inputs on the receiver but it’s far less often. I still have to make sure that the TV and the Receiver are turned on and off in a certain order (TV on first and off first) and then it seems to work out okay. Which reminds me, I got a new TV since then too which has helped with the issue (Panasonic plasma).